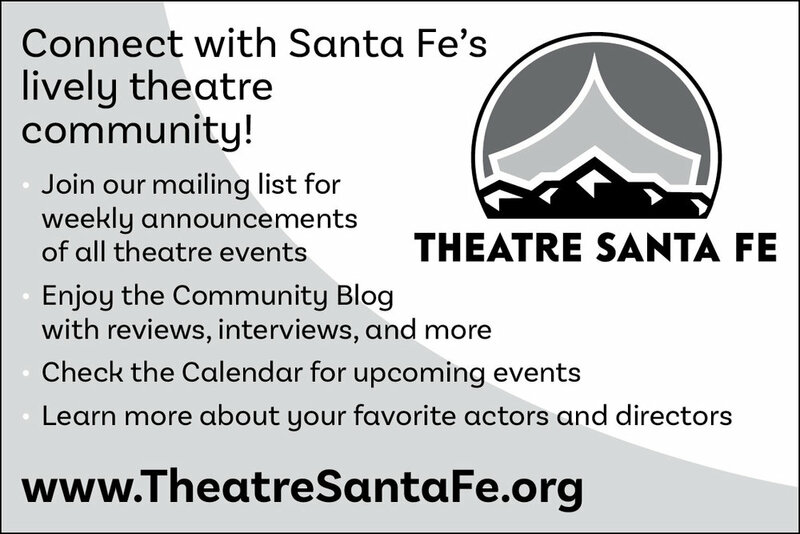 Click on any link to open a PDF of a Theatre Santa Fe ad for your printed program. It will open the PDF in another window. From there, SAVE to your own computer. For logos, please go to: the logos page. This is a JPG image and is NOT suitable for print! Please download the PDF for print. 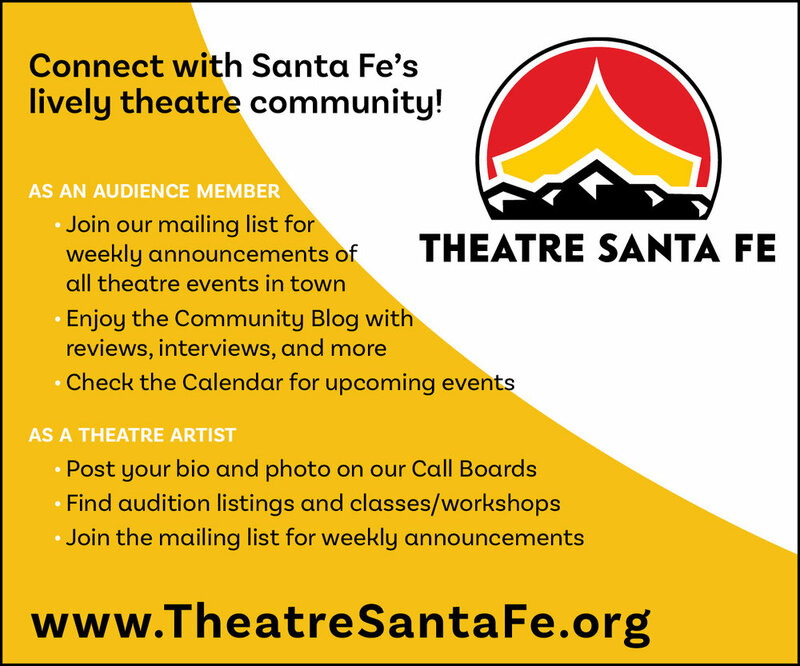 Standard half-page ad; can be resized smaller or larger, but please keep it proportional. Standard full-page in a local theatre program. Standard full-page black-and-white in local theatre program. 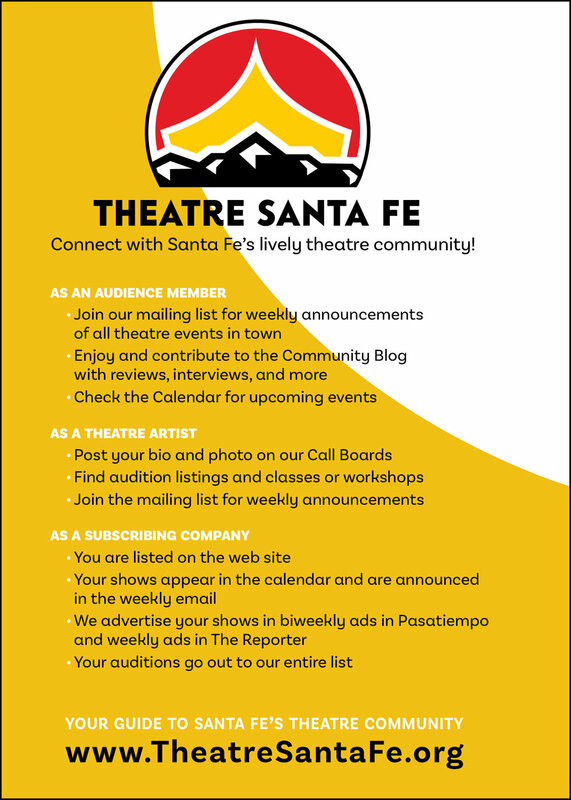 This is more of a postcard-sized piece but feel free to use it as an ad for a program if it fits.